I remember the day… cloudless. Always cloudless, for there is no sky in Beijing. Grey haze of toxic pollution, equivalent of smoking seventy cigarettes, blanketed Tiananmen Square. We awoke early to watch the daily flag ceremony. The droves of people who gathered on the paved plain, was staggering, even at that early hour. Soldiers marched in syncopating rhythm. Silent and eerie. Like marching robots to a dawn of war. Every morning they do this. I had traveled on a suffocating forty hour train ride, during the Chinese New Year, from my home near Guangzhou to visit Beijing. That is a whole other story for another post. Let’s just say I came home with a parasite and I’m pretty sure it was because of those trains! I was twenty, and the whole world was at my fingertips. Excitement and curiosity bubbled inside my stomach as I observed the gathered crowd. The older generation wore muted hues, which mirrored the dismal sky, but the younger generation donned vibrant colors, resemblance of their newfound courage. We had spent the entire day flying kites on the square, ecstatic as can be. We also meandered within the walls of the Forbidden City. Oh if walls could talk! We could only wander through the 600 year old structures left behind. Imagining stories of 24 different emperors, 9,000 concubines, and thousands of eunuchs; with their 100 course daily meals and the wealth of the world at their disposal. Again, another post for another time. 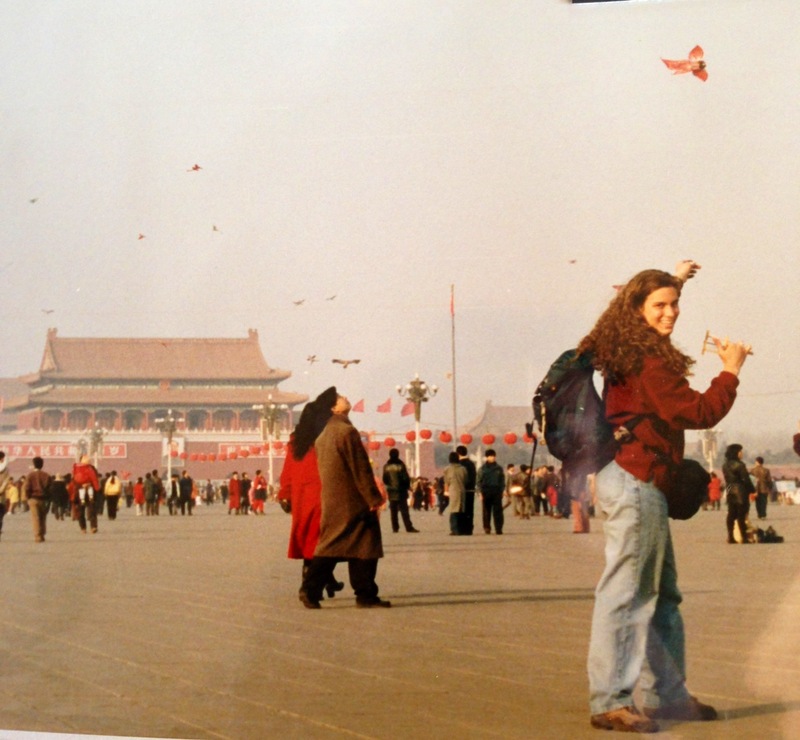 It was here, standing at the “gates of heavenly peace”, (Tiananmen translated) and the Mausoleum of Mao (Where Mao Zedong has been embalmed for viewing) where I learned about the massacre which had occurred June 4, 1989. I had never heard about, read about, or even knew that event had happened. I followed the huge human river to the different sights, learning about this event from a skewed point of view. I gazed around the massive Tiananmen square, imagining it lined with tanks and soldiers who had opened fire into the protestors only eight years earlier. People, mostly my age at the time, had fought for freedom… and died for the concept of freedom. A statue, the Goddess of Democracy, in resemblance of the Statue of Liberty, had been erected. Only to be crumbled beneath the teeth of a tank. The smog seemed to darken around me, as if the spirits of those protestors swooped down to beg for remembrance. And yet, those voices had been silenced, shoved under a rug — not allowed to be remembered. A stone sat in my gut the remainder of the day. As time went on, that stone simmered to an angered flame. Living in the communist country, I was unable to research that terrible tragedy, as it has been erased from their national history and called a “political incident.” It wasn’t until I moved back to the U.S.A that I was able to resurrect the memories which haunted me that day. I wrote papers in college and read what I could. Now, on the 25th year anniversary, those feelings surface. I close my eyes and think of the brave men and women who fought for democracy, for equality, for freedom. 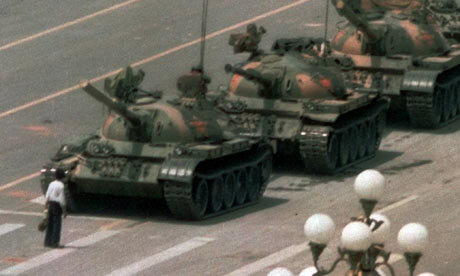 The photo below, is courage at its core. I am blessed to have freedom. Next Post Broken Smiles coming September 23rd!